Marposs Corporation, headquartered in Auburn Hills, Michigan USA, is part of the global group of Marposs companies, whose business began in 1952 and who provides uniform worldwide support of all its products and applications. 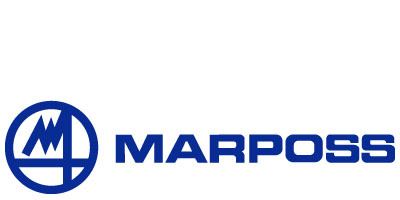 From its origins in White Plains, New York, in 1963, Marposs Corp. has become one of the industry’s leading suppliers of measurement and inspection devices and process control systems to end-user manufacturers, machine tool builders and automation suppliers in the United States and Canada. Marposs Corp. employs approximately 135 skilled professionals. In addition to sales, service and training, Marposs Corp. also provides engineering, manufacturing, project management and comprehensive system integration services. Strategic placement of Marposs sales engineering and service teams throughout the United States and Canada provides its customers with a local support team. These teams are backed by resources located within its corporate headquarters and Toronto, Ontario regional office. Additionally, Marposs Corp. has an extensive distribution network staffed with trained sales personnel. With a keen focus on quality, continuous improvement and cost containment, Marposs Corp. has achieved numerous accreditations including ISO 9001, ISO 14001, and Ford QOS. The company also received the Ford Q1 Award and in 2005 the Global Supplier Award for Manufacturing Goods & Services from DaimlerChrysler AG. The mission of Marposs Corp. is to provide the best solution possible for all applications requiring measurement, control and data management at each stage of the production process, and to deliver and support these solutions to its customers wherever they locate worldwide. Performance and uniformity of all Marposs core products and components are guaranteed by the quality systems in place in our main R&D and manufacturing facility in Bologna, Italy. In the drive for “zero defects” manufacturing, Marposs Corp. recognizes that it is no longer acceptable to rely only on measuring tools designed for the laboratory. Providing the capability to accurately measure and document quality at the point of application has become a necessity. That is why Marposs Corp. supplies gauges and other measurement and control devices that can function and survive with repeated daily use on the plant floor. Because Marposs Corp. recognizes that applying a “one-size-fits-all” strategy may end up compromising the desired results, the company has expanded its range of measurement and control products to include systems that incorporate optical, air, or eddy current technology, in addition to its traditional contact electronic technology. The company has also developed gauging solutions for assembly, as well as systems for testing leakage of parts. At the other end of the spectrum, Marposs has introduced a full line of functional gauges, masters, calipers and go/no go tools.